Dr. Hendrickson was born and raised in Richfield. He graduated from Richfield High School, attended Brigham Young University, the University of Utah, and graduated from Northwestern University Dental School in Chicago, Illinois in 1971. 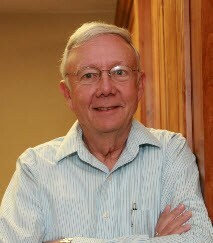 Dr. Hendrickson has been a "continuing student" of dentistry over the past 41 years. Being interested in dental implants, he began placing and restoring them in 1987 and has continued to use them successfully in his practice for the past 25 years. Being able to offer this service to patients has added immensely to his ability to assist patients in solving their dental problems. Dr. Hendrickson was honored in 2009 when he became a fellow of the International College of Dentists. He is a 43 year member of the American Dental Association, and for 10 years served on the LDS Church Missionary Department Dental Advisory Committee. He has been married for 46 years to his sweetheart Diane, and together they have 4 children and 17 grandchildren. They enjoy serving in the Manti LDS Temple and spoiling the grandchildren. Dr. Hendrickson enjoys playing golf, fishing, four-wheeling, reading and being with his family. Dr. Hendrickson loves dentistry and continues to practice on Monday and Wednesday.